Will 2014 go down in history as the year that delivered breakthroughs for a next-generation of batteries? Well, if not, it will certainly be seen as a year in which a couple of promising companies tried to commercialize their technologies, and a few others started on their quest to get to market with brand new technology. Just this week there were three milestones from various battery companies. On Monday, Amprius, which makes a long lasting lithium ion battery for cell phones and tablets, announced that it’s raised a round that will help it continue to bring its technology to market. 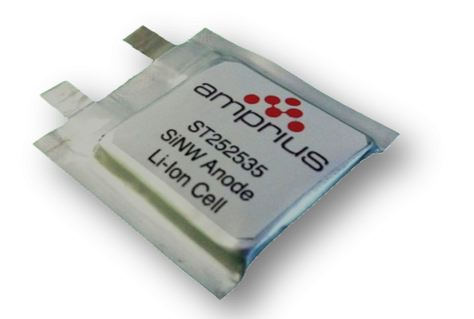 The company has already shipped the battery, which lasts 25 percent longer between charges, to some Asian smartphone manufacturers, but this year Amprius wants to get its battery into a lot more cell phones and gadgets. Batteries for the power grid saw some wins this week, too. Aquion Energy, a startup with a lot of big name investors behind it (Bill Gates! ), said yesterday that it’s topped up its coffers with more funds from Gates, and venture capitalists like Kleiner Perkins and Foundation Capital. Aquion makes a battery made from salt, water and other low cost, abundant materials that is stackable and scalable, so energy storage capacity can be added or subtracted easily. The company is going for it this year in a big way, and says it’ll start shipping its first products to customers in the first half of 2014 — by 2015 they’re hoping their factory will be booming enough to provide 400 jobs in Pennsylvania. Aquion isn’t the only power grid battery company that’s trying to commercialize its product soon. There’s also Ambri (formerly called Liquid Metal Battery), which cut the ribbon on its factory late last year, and is using funds from Bill Gates (again! ), as well as Khosla Ventures, and oil giant Total to bring its battery to market this year and next year. They’re hoping to have a full scale commercial battery factory in 2015. Then there’s Eos Energy, which plans to deliver its first batteries to the market this year with its first pilot project with utility Con Edison in New York. Eos Energy is working with manufacturer Incodema Group to scale up production of its batteries, which use zinc and air to store energy. Battery makers have long eyed air as a holy grail, as a battery which uses it would be both low cost (air is free) and light. It was supposed to be a big year for Envia, which makes a next-gen lithium ion battery for electric cars. But, well, then this happened, and it lost its GM contract. It could still progress, but clearly it’s had setbacks. Even on the research and development front, it seems like interesting battery technologies are still coming to light. Earlier this week Harvard researchers started talking about their breakthrough with a flow battery made out of natural molecules — the same ones found in rhubarb. Flow batteries are like regular batteries but the electrolyte is separated outside of the battery cell in liquid-filled tanks. They can be cheaper than the enclosed batteries we use in our laptops and cell phones, and are being looked at closely for power grid applications. So why all of the push for the next-generation of batteries for both the power grid but also gadgets and electric cars? The battery is one of the biggest obstacles to many energy-related breakthroughs: for putting more wind and solar farms on the grid, for turning our cell phones into ever powerful mobile computers, and for enabling electric cars to become more competitive with gas-based cars. A significantly cheaper — but just as powerful and long lasting — battery could revolutionize all these things, though there will need to be different battery types for different needs. The power grid needs to be ultra low cost, but also low maintenance and ready for occasional high capacity uses. Electric car batteries, on the other hand, need to have a high energy density (amount of energy it can hold per volume), giving the car a light weight (so the car isn’t too heavy) and a long range. They also need to be as safe as possible (just see Tesla fires, to read more about how safe batteries need to be going 75 mph down the freeway). Then there’s the shift happening this year just for the traditional low-cost commodity lithium-ion batteries. Tesla Motors (s TSLA), a company that’s revolutionizing electric cars like no other, says it needs a massive amount of battery capacity to grow its production over the coming years and is even considering building its own battery factory. If electric cars do become mainstream, batteries will have to be produced like never before (not to mention the continued growth in just battery-powered gadgets and the internet of things). The one thing to remember with batteries is that the reduction in price over time, and the breakthroughs needed to deliver better batteries, is slow, relatively speaking. It doesn’t follow the curve of Moore’s Law, which, as Bill Gates once said, has spoiled us to think that progress in other area outside of digital will be as fast. But at some point there will be a shift and an important time for battery breakthroughs. . . is this the year? At TransPower, we’ve received the contract and started construction on a stationery battery storage system for the NYC subway system. We will be capturing wasted energy off of the third rail, storing it, and then using it in a mid-town station. This (wayside energy storage system) is a pilot project for what MTA and TransPower would ultimately like to see: Onboard energy storage system, to power the actual train and not just the stations. We’re thrilled to power subway stations. But it would be more thrilling to power trains! Hi Cathie, you forgot in your overview the battery which now is installed in over 5 million (!!) Hybrid electric vehicles : low cost (1/3 of Li-ion), high safety and long lasting: the NiMH battery (nickel metal hydride using either rare earth oder Ti-Ni hydrides). The battery is produced by Panasonic / Toyota and was commercialized by ECD/Ovonic Battery Comp. [OBC] (Rochester Hills, Mi. USA). The pioneer invention of Ti-Ni-MH goes back to an invention at Battelle Geneva R&D Centers in 1970, promoted over 2 decades by Daimler-Benz & VW. 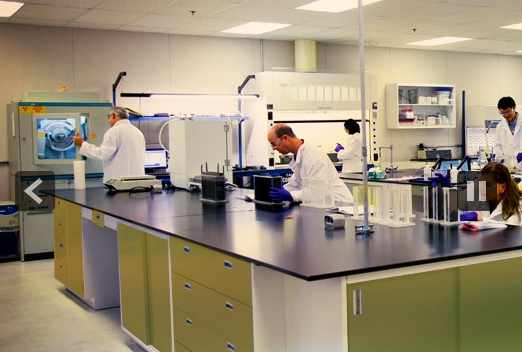 OBC was recently acquired by the German chemical company BASF – its branch BASF Battery Materials. Currently, a demonstration project for using this battery in grid storage application is under preparation and is proposed to industry, especially in Germany where energy storage is of utmost importance for increased use of wind & solar power. Admittedly, the NiMH battery is an amazing advance in this field, and my dream car is the Toyota Prius, by all means. 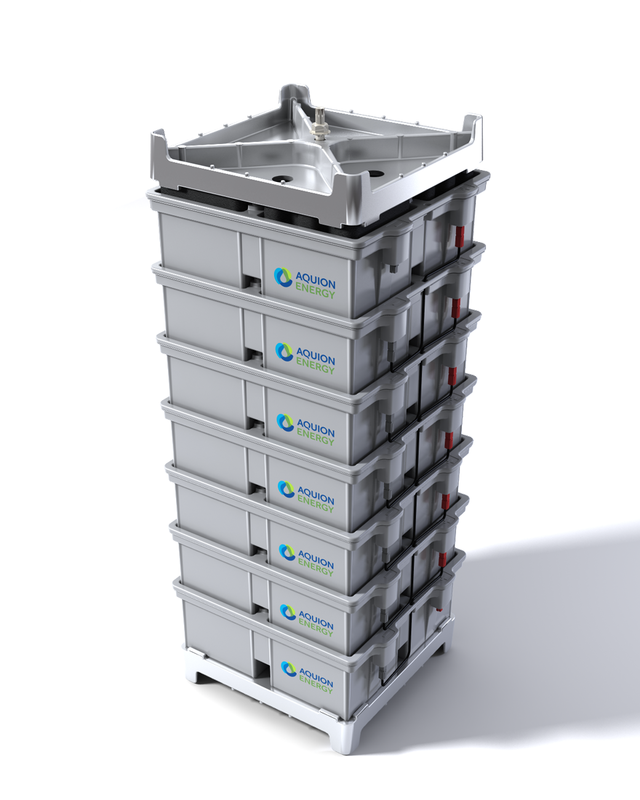 But the AQUION battery is an aqueous hybrid, especially tailored to meet the highest requirements of a range of grid-scale applications. The Aquion contains no hazardous or toxic materials and is totally recyclable and land-fill safe. Primus Power, backed by DBL Investors, Chrysalix, I2BF, and KPCB should be on this list as well.